I had heard of this race for a year or two through Buddy Johnson. Buddy highly recommended it. He had sent me pictures that he had taken while racing and really talked it up. 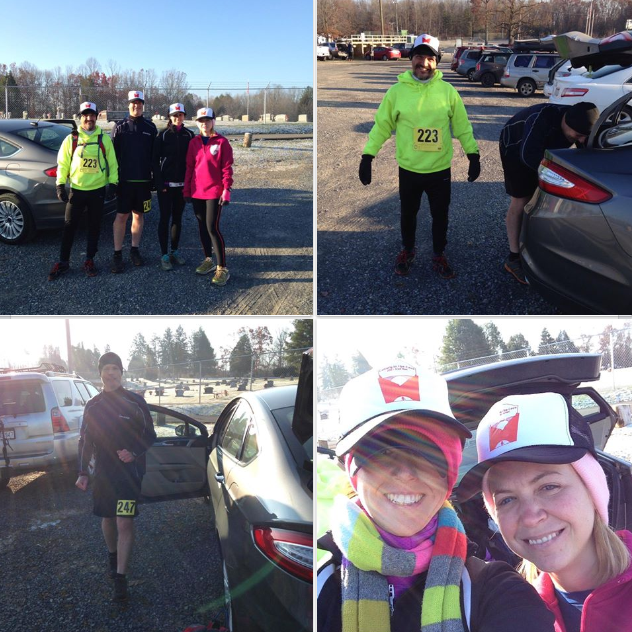 The WV Mountain Trail Runners group http://www.wvmtr.org puts this race on…one of several that they do. 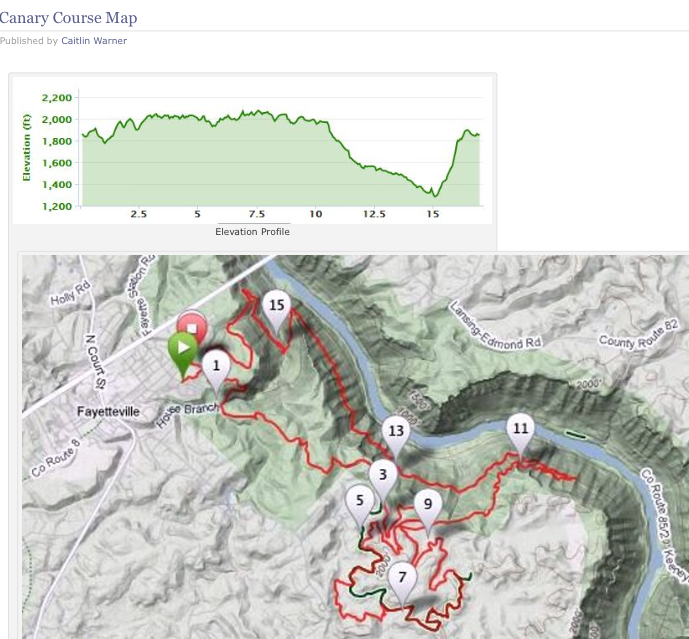 I was familiar with WV Mountain Trail Runners through the Highlands Sky 40 mile trail race http://www.wvmtr.org/events/highlands-sky-40m-trail-run/ that I did last June. 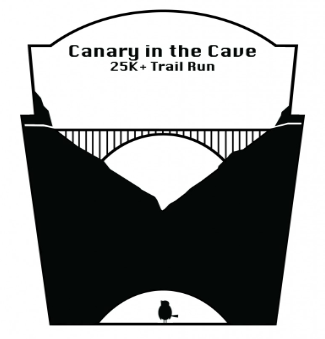 Carla Cross, Sara Martin, Doug Falls and myself did this race, Canary in the Cave 25k. This was Doug and Sara’s longest race ever. Sara had done 2 half marathons and Doug had done a few halves and 25ks, but not one this long. Carla and I have done a few marathons and ultra marathons. Sara drove up the day before the race and stayed in a hotel room. Carla, Doug and I left Roanoke the morning of. I got out of bed at 4am, picked Doug up around 5:15, then Carla in Blacksburg at 6:00. We were excited and on our way, with a 2.5 hour drive to Fayetteville, WV. Fayetteville, WV is part of a huge outdoor recreation area. The New River gorge goes through there, which is big time whitewater. The New and Gauley rivers are the best whitewater rafting in the East and one of the top in the world. The area offers all other outdoor activities like hiking, camping, zip lining, rock climbing, kayaking, and so on. Doug and I had just done a big whitewater rafting trip on the Upper Gauley in September of this year. The weather was very cold. The start of the race was 17 degrees and snow was on the ground from the evening before. The race started at 9..and we were off. The trail was great and had an inch or so of snow on it. The first 10 miles was single track rolling hills going through the woods. The first few miles I didn’t feel as strong as I thought I should, but was doing ok. 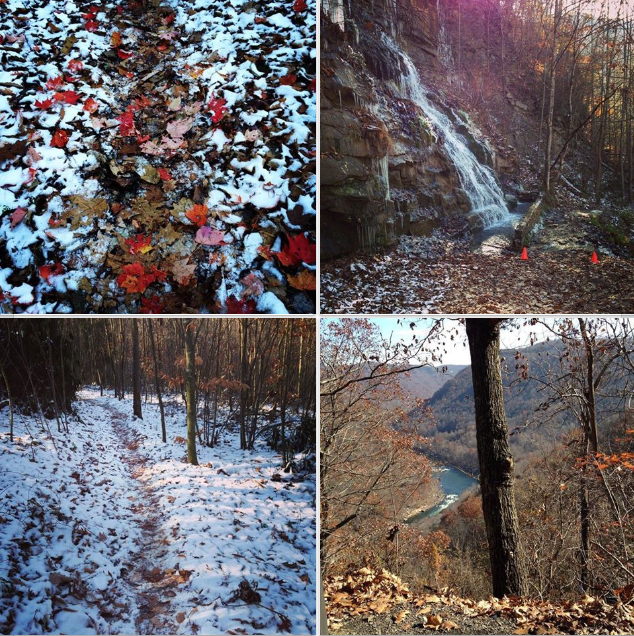 I was enjoying the trail and course immensely…it was beautiful. At mile 10 we hit hit a wider trail then went downhill farther into the gorge. This part of the trail lasted for 5 miles. 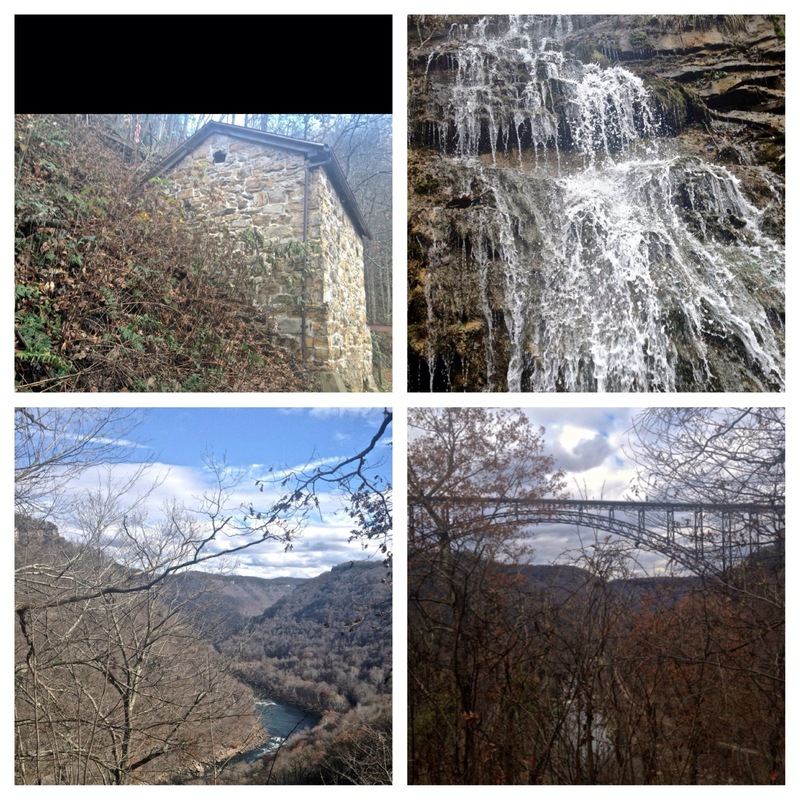 Along the way there were beautiful views of the gorge, the New River, the New River Gorge bridge, an old mine and several waterfalls. This may be the prettiest course that I have raced on. Doug and I were back and forth most of the race. Sara was a good bit ahead of us, which was expected. Carla was a little behind Doug and I as she took her time, took pictures, and enjoyed it. I felt stronger at mile 10 and enjoyed the downhill. We got to one of the waterfalls and mine at around mile 15.5, and had roughly 2 miles to go. This was a long 25k race at around 18 miles. The end, last 2 miles, were pretty brutal…straight up and out of the gorge. I had to walk/hike most of the last 2 miles, as it was straight up. Another racer and I pushed each other along to the finish. My finishing time was 3:21. I was originally hoping for a sub 3 hour, but did not think that was realistic, considering the course and conditions. I was happy with my time and how I felt for the majority of the race. All of us did really well overall, especially with it being Sara and Doug’s longest race ever. Sara ended up placing second overall female! Her award was a pumpkin pie with no crust! How funny. I HIGHLY recommend this race. We all enjoyed it very much. 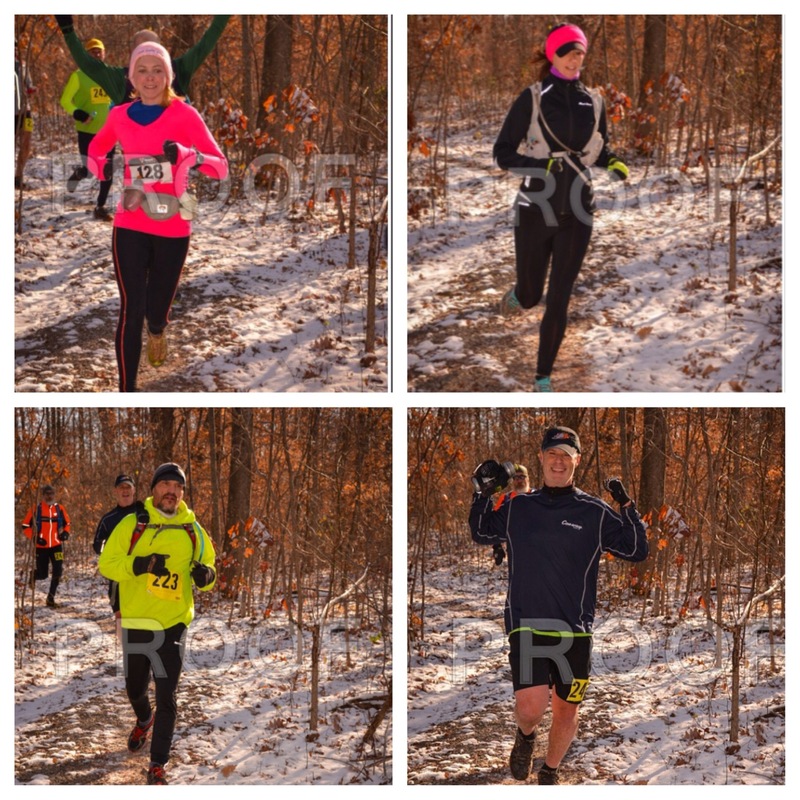 Credit to Carla and Buddy for all of the pictures except for the one of us running. 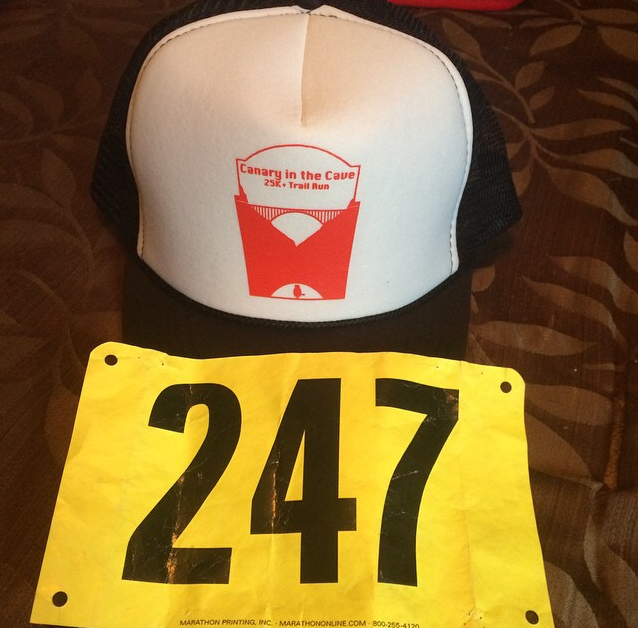 Categories: Uncategorized | Tags: 25k, adventure, canary in the cave, get outside, running, trailrace, trailrunning, wv, wvmountaintrailrunners | Permalink.